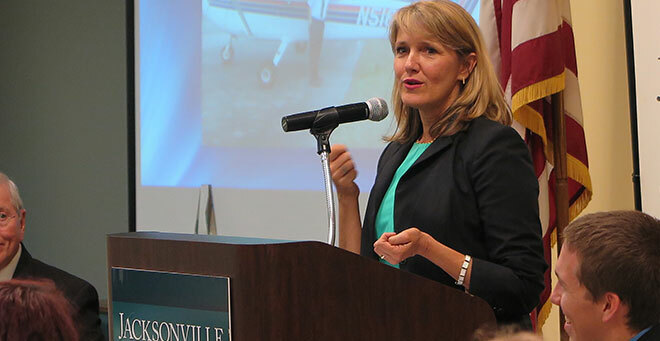 School of Aviation | Jacksonville University in Jacksonville, Fla.
​​​​​​​​​​​​​​The School of Aviation​, located in the Davis College of Business, has been educating and training future professional pilots and aviation executives for more than 30 years. Our Av​​​​​iation Management and Aviation Management & Flight Operations degree programs are accredited by the Aviation Accreditation Board International (AABI). Jacksonville University graduates can qualify for a Restricted-Airline Transport Pilot (R-ATP) certificate with 1,000 flight hours. 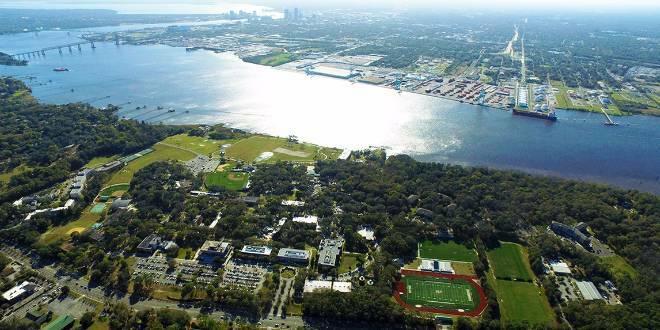 In 2008, Jacksonville University won the 2008 Loening Trophy awarded annually at National NIFA SAFECON to the best all-around collegiate aviation program in the nation. Winner of the 2011 Air Race Classic, the national all-women transcontinental air race. JU is one of 36 universities in the nation selected by the Federal Aviation Administration to educate future air traffic controllers under the Collegiate Training Initiative (CTI). Our students also benefit from a one-of-a-kind partnership with L3 Airline Academy, offering airline-oriented flight training and a direct career path to the airlines. All of this while obtaining transferable business skills, a powerful credential that will help you succeed in your career of choice in aviation. If you would like to attend an Aviation info session/ JU campus tour and you have not already scheduled one you can go to https://apply.ju.edu/portal/campustours and schedule your visit.